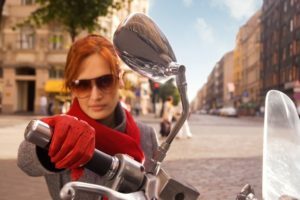 If you have searched through the Harley dating sites and wanted to give them a try to find love, read this article before you jump in and starting using them. We want you to make the most out of your time on these dating sites and find someone who fits your exact needs as quickly as possible. Dating sites for Harley singles are meant to make it easier to find that perfect person, but it’s important to remember that you don’t get to make a first impression like you do when you meet someone face-to-face. Therefore, you need to ensure that your profile and actions on the site make you stand out in the best way possible. Talk about your current biker lifestyle (how you spend your time and what you love to do). Talk about your likes to help other members understand what you are looking for. Don’t talk about unnecessary information, such as what you like to drink, how much you get paid, or how big or small your house is. Don’t bring up your failures in dating. Even though other people know you’ve dated before, you need to show yourself in the best light which means keeping your failures and negativity out of the first impression. On Harley dating sites, your Harley Davidson bike or something referencing the biker lifestyle is a must. Make yourself the focus and don’t include other people in the picture. Make the atmosphere focused on what you love to do (riding, being at home, or hanging out at events). Don’t showcase yourself drunk or doing something stupid; instead, make it a pic that portrays your typical self. Some Harley singles dating sites have pages dedicated to showing off tattoos or your bike while others have pages devoted to discussing the biker lifestyle and dating. If you want to make the most out of the Harley dating sites, participate in these things. They help you get in front of more people and increase your chances for finding that perfect person. Also, your profile may not interest someone, but your answer on a forum might. That’s something to remember as you move through the site and see chances to get yourself in front of people. Even if it is only for one month, get a membership. It will allow you to use the dating site to its full potential, which will help you find someone that much faster. They don’t cost that much, and since it is a service offering you a way to meet other people quickly and easily, it is worth the money. You can post more, do more, and make yourself more visible on the site. Some sites have an option where you can get verified, this means you can let others know you are who you say you are, this has been known to increase member’s success rate by 10x or more. It’s no surprise why. When people know that they can trust you, and they like what they see, they are going to contact you quickly to snap you up before anyone else can get your attention. So, you find someone you like, but how can you tell if that someone is right for you? Make sure to follow the two simple tips below before you get too serious. If someone is lying about who they are, then there is a good chance there are some inconsistencies in their profile. Before you contact them, take the time to go through their entire profile, including pictures, to make sure that everything lines up. Some people will say all the right things in their profile to attract the right type of bikers, but not be telling the truth. In your first message, test their knowledge with some simple questions, this will help you further decide whether they are honest in their profile or not. If they are interested and being honest, they will answer the questions no problem. In fact, they will probably have some of their own!